In our sculptural glass furniture pieces we use the interplay of colour through transparency and light to bring a animated dimension to static objects. 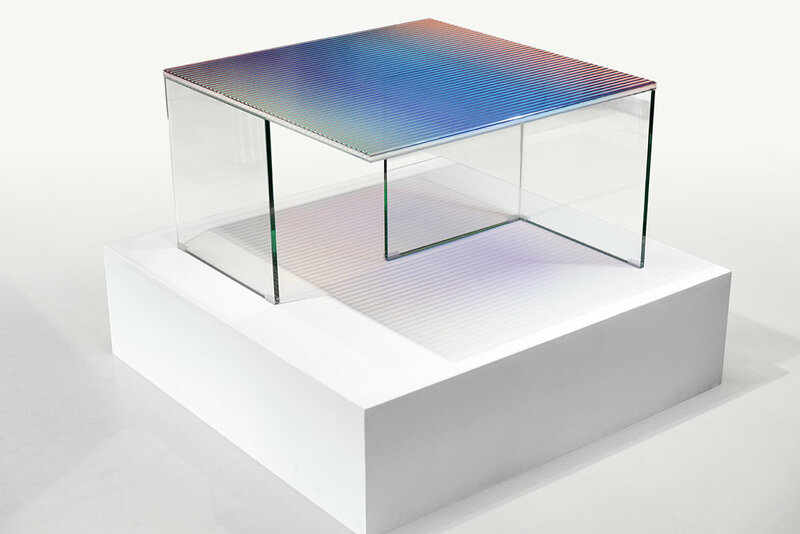 The Trichroic Table has a table top that consists of three layers of glass with a layer of coloured bands and a layer of white opaque bands between the glass panels. By moving alongside the table, the top shifts subtly in colour through the motion parallax between the different layers. The table has been produced as a limited edition of 5 and is represented by Tools Galerie in Paris.